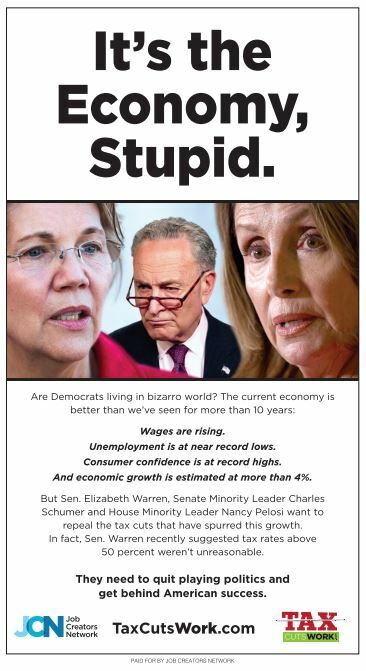 Ad: It’s the Economy, Stupid. Unemployment is at near record lows. Consumer confidence is at record highs. And economic growth is estimated at more than 4%. 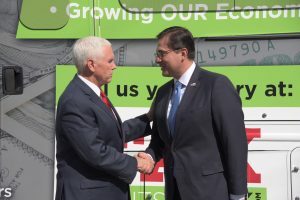 But Sen. Elizabeth Warren, Senate Minority Leader Charles Schumer and House Minority Leader Nancy Pelosi want to repeal the tax cuts that have spurred this growth. In fact, Sen. Warren recently suggested tax rates above 50 percent weren’t unreasonable. They need to quit playing politics and get behind American success.